We have difficulty believing that life is meaningless. But is the meaning in our lives just a recurring historical or philosophical pattern, or is it, as G.K. Chesterton suggests, a picture – that is, a story? 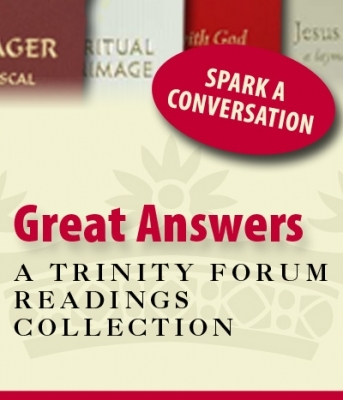 This Reading Collection helps people who are already comfortable with the big questions of life to explore what we have found to be the ultimate answer: the person of Jesus. Jesus, A Layman’s Primer | Trinity Forum Co-Founder Al McDonald gives a layman’s perspective on the life of Jesus based on his own serious investigations, answering questions posed to him by friends and associates over the years regarding his faith. 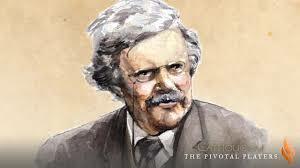 The Strangest Story in the World | Excerpts from The Everlasting Man, one of G.K. Chesterton’s most widely read books, offering Chesterton’s view of human history and its radical alteration after the coming of Christ. The Wager | Pascal’s wager, taken from his book Pensees, is not an argument for the existence of God—a cold, mathematician’s proof—but for the importance of caring about life and seeking and believing.